Not all waste is meant to be thrown in the skip and done away with. Some waste material pose health risks if not disposed of properly. Other materials are dangerous and may cause environmental hazards. These are the material classified as hazardous waste. Take a look around your home. Can you identify some of these hazardous waste items? Well, most people will answer NO to that question. But, the fact is that most homes contain a wide range of hazardous waste items. The most common hazardous waste items found in most households include batteries, paints, cleaning agents and solvents. Now, let’s go back to your home. Do you have any such items in it? About 1.6 million tons of hazardous waste items are disposed of each year by households in the UK. 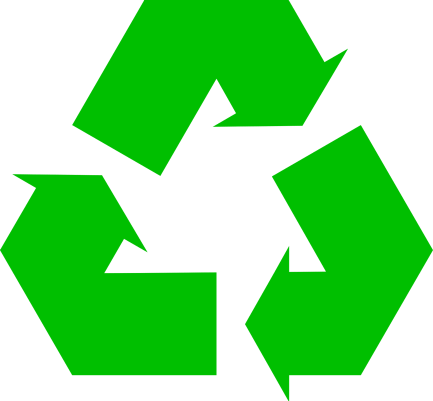 It is estimated that at any given time, the average household contains about 100 pounds of hazardous waste on the premises. Unfortunately, hazardous waste produced from homes is far less regulated. For this reasons, it is highly possible that it ends up being disposed of improperly, say down the drain, and pose health concerns to people or have a negative impact on the environment. Hazardous waste is any solid or fluid waste that is considered to be chemically reactive, corrosive, flammable or toxic. With respect to hazardous waste, something is chemically reactive when it contains unstable substances. These substances usually react when exposed to other compounds. Exposing these substances to other compound most likely causes an explosion or the release of harmful fumes. A corrosive substance is anything that can breakdown the form and nature of metals, corrode. We say that a substance is flammable if it has a high potency to catching fire. These may be gasses or liquid substances that can easily catch fire upon the slightest exposure to a flame or a spark. Something is toxic if it contains chemicals and substances that are considered harmful to human health. Exposure to such elements through ingestion, inhalation or touch may pose serious health risks. 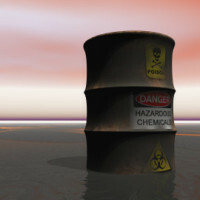 What are some hazardous waste items? Below is a list of hazardous waste items that are regularly found in the skip, but which SHOULD NOT be put in the skip. If you are unsure of what items shouldn’t go in the skip, it is always best to consult. When material containing asbestos are disturbed or damaged, the harmful asbestos fibre disperses into the air. Inhaling Asbestos fibre can cause fatal and serious diseases such as mesothelioma, lung cancer, asbestosis and pleural thickening. Mercury is a neurotoxin. The effects of prolonged or acute mercury exposure can either be server or subtle. Symptoms of mercury exposure/poisoning are such as loss of peripheral vision, muscle weakness, memory loss, and tremors. E-waste consists of things such as computers, cell phones and printers contain toxic heavy metals such as lead, cadmium and mercury that are harmful both to the environment and human beings. These items should not be left in the skip. Instead they should be reused or returned for recycling. Batteries contain toxic heavy metals such as mercury and lead. Leaving these in the skip, they end up in the landfills, and the toxic substances in them leaches into soil and water. This eventually pollutes lakes and makes them unfit for human consumption. Used, rejected or unwanted tyres are classified as “waste tyres”. While they are not hazardous, they can cause environmental pollution if not disposed of properly. 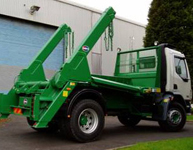 For this reasons, tyres are banned from landfills and should not be left in the skip. Cans and containers containing pesticides and herbicides should be disposed of properly in order to avoid environmental pollution. These containers usually contain leftover chemicals can cause soil and water pollution. Cans containing compressed gasses are highly flammable. These compressed gasses expand in the container when exposed to heat and end up exploding when the container reaches its limit. The materials flying off from the explosion may cause serious damages and burns to persons nearby. Propane is a highly flammable gas. Propane tanks should not just be disposed of when hiring a skip. If a flame comes close to the tank, a dangerous explosion may occur. This may claim lives and property. Clinical waste has to do with used syringes and needles, cotton wool and bandages. Also sanitary towels, tampons, nappies and incontinence pads are treated as Healthcare waste. Although they are not hazardous waste per se, they must be properly disposed of in order to prevent contamination, nuisance and environmental pollution. These are not all there is on hazardous waste that may be found in most households. There are hundreds of other items that are regularly found in the skip, but should not be left there for health or environmental reasons. Always consult if you are not sure whether an item is safe or should be classified as hazardous waste.